Black grain leather laced shoeSingle density PU outsoleEVA insoleTest Standard :SS 513 EN ISO 20345.. 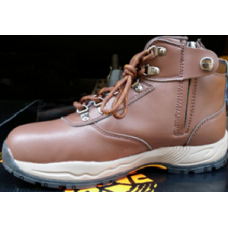 Sport type laced shoeSingle density PU outsoleEVA insoleTest Standard :SS 513 EN ISO 20345..
Black smooth leather laced bootSingle density PU outsoleEVA insoleSteel toecap & midsoleTest Sta..
Life Line Material :Galvized wire ropeTest Standard : SS 528: Part 3Model No.LengthOS SLR-55 MTROS S.. 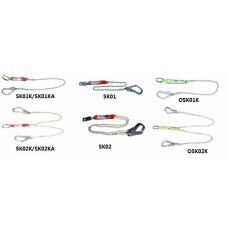 Classification : Class ATest Standard : SS 528: Part 1 & EN 361Capacity : 100 kgsModel No.Descri..
Energy Absorber : Type 2Karabiner : Self-locking gateTest Standard : SS528: Part 2 & 5, EN354, E..
Material : PlasticPacking : 1000 pcs/ ctn..